For its 14th consecutive year, the University of Richmond Center for Leadership in Education’s Next Generation Leadership Academy (NGLA) is off to an amazing start! This year, the Center for Leadership in Education (CLE) was excited to welcome Dr. Dana Jackson as NGLA coordinator. 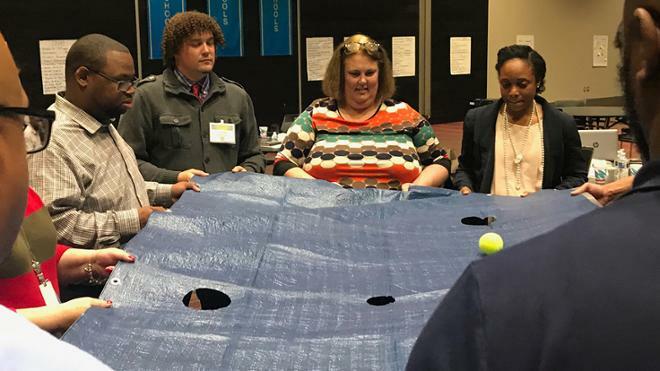 As a veteran educator with over 12 years of experience in school leadership, Jackson was the perfect candidate to champion this valuable professional development opportunity for 50 current and aspiring school and division leaders. Participants join NGLA from the city of Richmond and counties of Chesterfield, Hanover, and Henrico for monthly cross-divisional training in instructional, transformational and organizational leadership. The final celebratory session of NGLA will occur on Monday, March 25, at the Jepson Alumni Center.